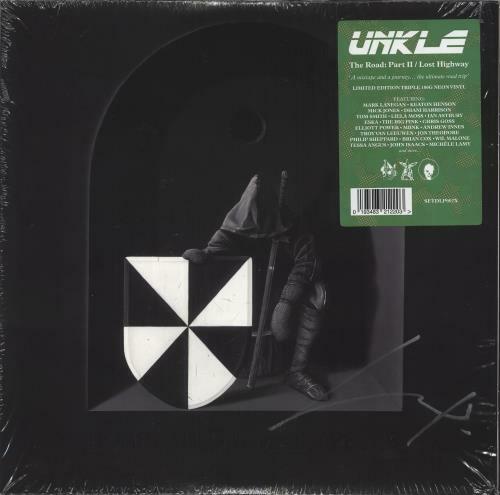 UNKLE The Road: Part II / Lost Highway (2019 UK Limited 'Indie Exclusive' Edition 22-track triple LP pressed on 180gram Neon Yellow, Red & Green Heavyweight Vinyl, with guest vocal appearances from Mark Lanegan, Mick Jones, Dhani Harrison, Tom Smith [Editors], Ian Astbury and more. The vinyl is BRAND NEW & UNPLAYED and comes complete with the 16-page booklet containing artworks by John Stark and photography by Warren Du Preez and Nick Thornton Jones, housed in the triple gatefold picture sleeve which has been AUTOGRAPHED under the original hype-stickered shrinkwrap in silver pen by James Lavelle! 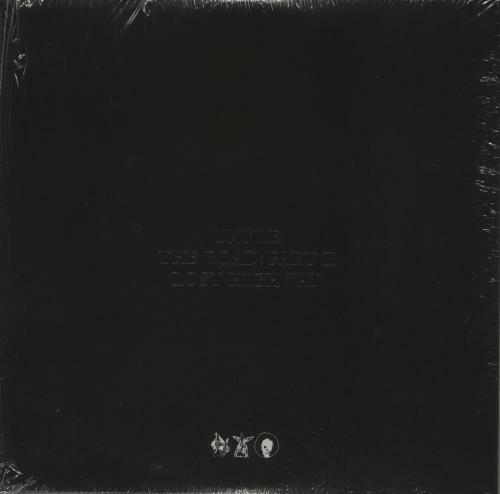 SFTDLP002X). or visit our Unkle image gallery.